Note: offer exclusive to Sephora beauty insiders; beauty insiders signup is free. Samples include: Amore Pacific Intensive Vitalizing Eye Complex (0.01 oz), Dior Capture Totale One Essential (0.03 oz), Lavanila SPF 40 Face Cream (0.07 oz), Murad Essential-C Eye Cream SPF 15 (0.03 oz), Ole Henriksen Invigorating Night Gel (0.1 oz), Perricone MD Cold Plasma (0.07 oz), Philosophy Miracle Worker™ Miraculous Anti-Aging Moisturizer (0.06 oz), Rexaline Hydra-Dose Hyper-Hydrating Skin Densifying Anti-Wrinkle Cream (0.06 oz), Peter Thomas Roth Anti-Aging Cleansing Gel (0.07 oz), and Caudalie Vinexpert Night Infusion Cream (0.1 oz). Thanks to the gals at Freebieville for this impressive list! Show of hands – how many of us have dry, cracked lips during winter? Let’s face it – when Tuesday’s 32 degrees felt practically tropical here on the East Coast, it’s bad news for your skin. I recieved Liz Earle’s Superbalm a few weeks ago and immediately loved how it soothed and softened my lips. I am a huge fan of the Liz Earle line in general, and especially the Superskin line, and Superbalm is a great go-to product, especially for lips and cuticles. Just smooth a tiny bit over your lips and you’ll see an instant difference – dry areas calm down, and those little vertical lines smooth away. I love the texture – it goes on smooth and light. In the jar it feels a bit softer than shea butter, and it feels a little lighter than melted shea butter when it’s on the skin. I really don’t like the waxy feel of most lip balms, and Superbalm doesn’t feel waxy at all. It has a great roster of ingredients – not limited to Vitamin E, Avocado Oil, Rosehip Oil (a great lipid), Chamomile Extract Oil to soothe skin, West African Shea, and Lavender Oil gives it the great scent. When I’m applying makeup I’ll smooth a bit on my lips and apply my lip color last after Superbalm has had time to soak in and make my lips soft and even. It gets to work and you will have a perfect canvas for your lipstick! Find it at LizEarle.com for $29.00 for a 1 oz jar and $8.50 for a very purse-friendly .1 oz pot. I have a few peel product favorites that I *THOUGHT* were doing the trick for me, but I’ve had such good results with the Peter Thomas Roth Power K Eye Rescue and a few other key PTR products that I was excited to give the UnWrinkle Peel Pads a try, even though I thought I had the glycolic acid peel beauty base covered. · It did not sting, even on delicate skin areas. · My skin IMMEDIATELY looked better and my skin GLOWED upon use. · My between the eyebrow crinkle wrinkles vanished. I don’t have real forehead wrinkles but I do have a forehead line/crinkle between my eyebrows from squinting that shows mostly when my skin is very dry. It immediately looked better after application, and about 1/2 hour later forehead crinkle was really gone – no trace of it even up close. I have more crinkle lines than real wrinkles, so I didn’t expect much of a wrinkle based result, but I was surprised how much younger my skin looked without the fine expression lines around my eyebrows and lips. · When I tried the PTR pads, I had not used moisturizer yet that day, and my skin had some dry flakey spots from mild sunburn. Normally when my face gets sunburn, I flake for at least a few days, and most products seem to make it worse or at least sting. But after the pads I was absolutely smooth after one use, no stinging involved. · It removed dry skin without irritation and left my skin visibly more even and clear. · The pores on my cheeks were smaller and the pores on my chin seemed not visible at all. 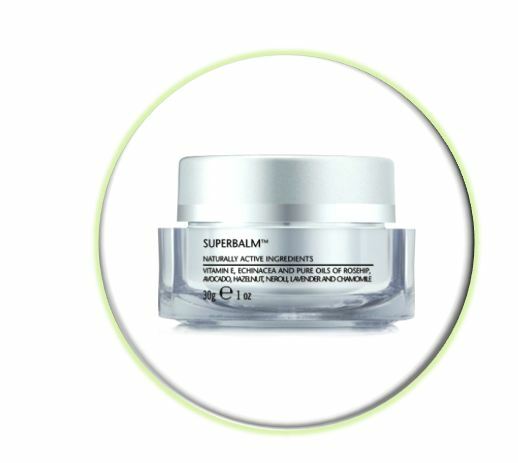 · My skin did not get irritated with continued use. · My skin was even and clear, so I did not feel a need to use it daily after the initial week because my skin was much more even and clear, so then I switched to using the pads about every three days or so for “upkeep”. Before an event that I want to look nice or if my skin seems kind of blah, I step it up to every other day. Tip: The directions say to also use the pad on the tops of your hands. There is enough product per pad to do your face, neck, and hands. Some users says they cut a pad in half to make them last longer, but then there is probably only enough product to focus on face and neck. I really like how there is enough product on the pads to use on knuckles and it cleans up ragged cuticles completely. Beauty.com currently has a nice Peter Thomas Roth Gift with Purchase offer: Buy $40 of Peter Thomas Roth and get a deluxe bonus jar of Un-Wrinkle Peel Pads free, (a $15 value). There are certain skin products that are worth spending extra on, and some that you feel you can find an effective and less expensive version. For me, hand creams generally fall into the latter category, but once in a blue moon, a luxury hand cream comes along that is worth every single penny and more. A classic example is philosophy’s Time on your Hands. I discovered a new favorite when we got sent a sample of Liz Earle’s Hand Repair. Style Chick Lyn calls it “A Time Machine in a Bottle” – and I agree. Hand Repair is a moderately light textured lotion, and smooths on your hands beautifully and had a clean feel to it – no waxy feeling. Once on, it releases a subtle but nice scent. While I usually opt for fragrance free lotions, I really liked this particular lavender scent (and I dislike lavender scents in general), and didn’t encounter any irritation from my fragrance, nor was it an overpowering scent. I had to read the ingredients to figure out what composed the main scent. It deep moisturized my hands immediately as I smoothed it on, and my hands looked instantly smoother and younger. You know things that you don’t know are a problem until a product fixes it? This is one of those products. My hands looked luminous, soft, and vital. Absorption is a key issue for me when choosing a hand lotion. If I’m putting cotton or gel lined gloves on after, then it’s okay with me if a lotion is a bit greasy. But my everyday hand lotion has to absorb fast, not be greasy, and still provide a good level of hydration. Liz Earle Hand Repair does that with flying colors. I loved how it absorbed fast and didn’t leave any kind of sticky or gritty feeling behind – it super-hydrated the skin, and I was able to type on my touch screen within about 30 seconds without fear of fingerprints being left behind. It does its job, and it does it well. If you are interested in a more spa-like experience, try using cotton or gel lined gloves after applying a generous amount of Hand Repair. I tried that as I watched a movie last night, and it felt soooo fantastic, and my hands looked fantastic after being intensely hydrated for an hour or so. As with all Liz Earle products, Hand Repair has fantastic ingredients – tons of anti-oxidants, including Beta-Carotenes, Vitamin E, B5 to stimulate cell renewal, and plant-derived glyercin. It also contains Lactic Acid for a mild exfoliation. As great as a lotion as it is on hands, I am particularly impressed with how fast it works as a cuticle lotion – the Lactic Acid sacks ragged cuticles and makes nails look great. All in all, this lotion is an instant classic at Style Chicks HQ. I appreciate that the product is well-crafted enough that everyone around here is wowed by it, when we are all of different ages and have different skin concerns when it comes to hands. 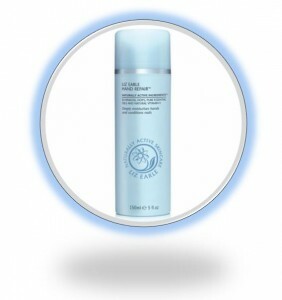 Find the fantastic Liz Earle Hand Repair at LizEarle.com for $28.50.